Chii: The thing about summer fatigue is… sure, you might not feel motivated to do anything. But think about it: do you feel motivated to do anything in the winter either?! Chii: The fact of the matter is, you’re actually unmotivated the whole year round, but since it just happens to be summer, you start blaming it on a convenient word like “summer fatigue” even though that’s not what it really is! Kumai-san starts going down the list. First, she says she actually might really become good at cooking since she even bought a cooking book. Chii quips that anyone can buy a book. Still, Kumai-san has since then tried cooking things and her little brother and father have both liked them. Kumai-san says she’d like to take this skill a step further and become able to cook without looking at recipes. Kumai-san says she’d definitely like to boost her femininity, too. She says she’s recently started doing aging-care — Chii asks her to explain what that word means. As for becoming certified, Kumai-san says that she actually recently did get a kind of a certification — a “service certification.” Chii, laughing, says this is the first time she’s ever heard of it and asks what type of “service” it means. Kumai-san says it includes things like learning to answer any questions posed by customers and learning how to write honorific language. But now at 21, Kumai-san says she really wants to get a driver’s license and Chii mentions that Sudo Maasa already got hers. Kumai-san says she’s going to do everything it takes to get one at 21, too. That will be her no. 1 goal. Kumai-san makes a formal oath to all listeners that she will get a driver’s license before August 3, 2015. Song: Berryz Koubou – Maji Bomber!! Topic #1: Last summer Chii was reporting on how Sugaya Risako and Sato Masaki were getting along really well. More recently, however, it appears the latter has also gotten really close to Natsuyaki Miyabi as well. Maa-chan is now seen constantly talking with Miya. She says Maa-chan’s innocence and communication skills are incredible, seeing how freely she was able to approach and make friends with two of the scariest members of Berryz — if anyone, Chii was expecting she’d make friends with someone like Maasa. “Maa-chan knows no fear,” as she puts it. Rinapuu was apparently on a mission of taking pictures with the Bakuwara Friends for S/mileage’s Budokan concert. She first asked Kumai-san, but she wasn’t wearing makeup that day so she didn’t have her picture taken. It was right after that when Kumai-san told Chii about this, so Chii was naturally expecting Rinapuu to approach her next. But S/mileage’s Budokan performance came and went, and Chii realized Rinapuu never did ask her for a picture. Furthermore, she found out that Rinapuu had actually taken pictures with both Michishige-san and Airi. Chii is wondering what on earth it means that she wasn’t approached, even though she says she’s the one who cares about Bakuwara Friends the most. She’s not happy about this at all. Chii: Rinapuu, are you listening? I really would’ve liked you to come to me, too. Chii trusts that Rinapuu will follow up and make good on this incident at a later date. Fan letter #1: The listener tells a story about how he’d had a big slip-up at work the other day and for the first time in his life, he actually had to write a written apology because of it. Being an adult in his mid-twenties, the listener never expected he’d ever make others so angry at him again and it made him feel really down. Afterwards he was moved to tears when listening to “Sono Subete no Ai ni,” which made him realize just how much he’d been hurt. Chii and Kumai-san, both having been idols for 10 years, must’ve had experiences that made them feel down as well; the listener asks how the two usually overcome those feelings and get back on their feet again. Regarding songs that make you cry, Kumai-san says that recently their song “BE” really makes her moved to tears, and she doesn’t even know why. Performing it at their Tanabata Live, she was really close to crying because she felt so moved. She thinks it’s just a really good song. Chii says she’s never cried while listening to any songs, but adds that she can, however, fall asleep while listening to any kind of music. Chii and Kumai-san both say that they’ve become more easily moved to tears lately, as tends to happen as one gets older. Chii even admits to have bawled her eyes out watching Toy Story 3. As for the listener’s question, Chii says that time will definitely heal all wounds and although the listener in question might feel sad right now, they’ll definitely feel better again once a week or so has passed. Chii and Kumai-san both wish the listener to continue doing their best at work. 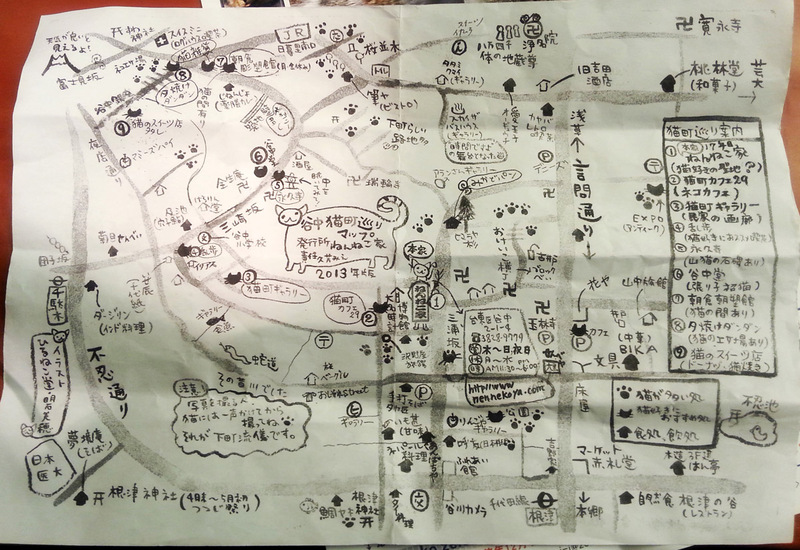 Fan letter #2: The listener tells the hosts he has a best friend who is really into making cat maps. “Cat maps“, you ask? He explains you basically just look around the neighborhood, search for cats, and draw up maps that show their types and locations. Doing an internet search on this, you’ll apparently find lots of people who are into this recently. Seeing this really surprised the listener. The listener asks if Chii and Kumai-san know if the members or any of their friends have any equally strange hobbies. Chii and Kumai-san have both never heard of cat maps before. Kumai-san wonders what they do with the maps once they’re finished, but admits that it must be a great hobby for the cat lovers. While it’s not exactly a hobby, Chii has an episode to tell concerning Captain. Captain has an eyelash curler that she’d been using with the same rubber band on it for a long time. One day as she thought she’d clean out the rubber band because the curler wasn’t doing its job very well, 30 or so of Captain’s eyelashes suddenly just fell out. Captain was really sad when the realization hit her that she’d lost so many eyelashes. Chii, only as a joke, suggested that Captain start keeping them in her wallet. Captain actually did just so, carefully wrapping her eyelashes in a tissue which she then put in her wallet. Kumai-chan ponders it must’ve really been a huge shock to Captain who considers her eyelashes her charm point. She speculates that those thirty-plus eyelashes must still be quietly sleeping inside Captain’s wallet to this day. Chii: Does S/mileage ever sing “Samui ne” in the summer? Kumai also mentioned her fatigue on Hello!Sute #80— She even asked Rinapuu how to not get tired. Rina answered that it’s best to make it fun, like a game. Kumai ended up saying that it just must come with age. Jeez, the way these 2 girls talk about summer fatigue, it sounds as if they are already in the Obachan age group! The only difference between Kumaichan and Chii is probably Chii sleep, or rather, is able to sleep ALL THE TIME, ANYWHERE (As evidenced in the Hello Pro Time backstage at one concert venue when Maasa caught her having a nap and resting her head against the side of the bus..man, I miss that Episode, I miss Hello Pro Time!). Kumaichan on the other hand, is naturally laid-back and relaxed, easy going. So Chii is just making some excuse here for appearing sleepy all the time, whereas for Kumaichan, I feel it’s a more genuine case of the summer fatigue, if there is such a thing it will prob apply to Kumaichan rather than Chii! LOL .